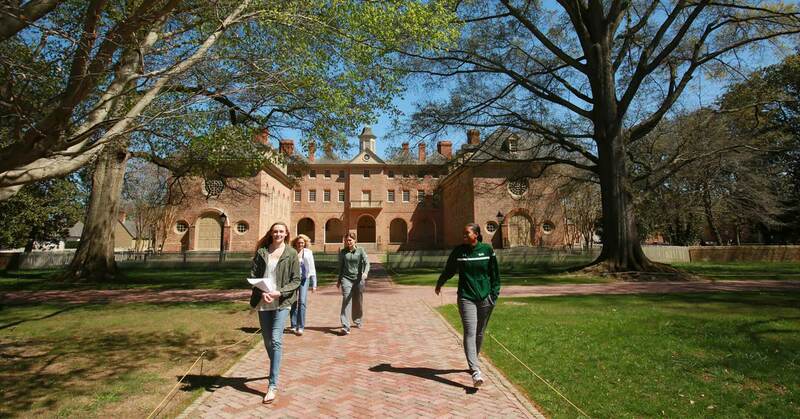 The College of William & Mary is a public research university in Williamsburg, Virginia that was founded in 1693. It is the second oldest higher education institute in the United States with an acceptance rate of 34%. Here’s 7 of their college cafes and restaurants for students! The Daily Grind is a nice homey cafe on campus that serves beverages, breakfast and lunch. Students love to come here for the great study environment as well as the delicious food and drinks at good prices. Aromas Coffeehouse is a local cafe that isn’t too far from campus. Students come here to enjoy the fresh coffee, teas and baked goods that Aromas offers. This is a great, affordable cafe for students. Green Leafe Cafe is another cafe that is not very far from the William and Mary campus. This cafe is in a tavern setting which is a great environment for students. They offer great beverages and meals at decent prices. Inside the student center there is an entire food court of chain restaurant options, and Qdoba is one of these options. Qdoba is an affordable restaurant with great fresh Mexican food. A popular destination for students is the Starbucks inside the business building. This Starbucks is small and quaint, but it offers the same food and drinks as a regular Starbucks, all at the same great prices. Another great option in the student center food court is the brand new Chick Fil A! Students love this chain fast food restaurant for its great chicken and fries, and its super affordable prices! It’s a good choice for lunch and dinner. Element Cafe is a great coffee shop on campus at William and Mary. They offer tons of hot and iced coffee and tea options for students, as well as premade and fresh breakfast and lunch foods. They have great prices too!